Founded in 1967 by Dr. Ian Stevenson, the Division of Perceptual Studies (DOPS) is a long-established and highly productive university-based research group, exclusively devoted to the investigation of phenomena that challenge mainstream scientific paradigms regarding the nature of the mind/brain relationship. The researchers at DOPS are particularly interested in studying phenomena related to consciousness clearly functioning beyond the confines of the physical body, as well as phenomena that are directly suggestive of post-mortem survival of consciousness. Through their careful study, the DOPS researchers objectively document and analyze the empirical data collected regarding human experiences suggestive of post-mortem survival of consciousness. Rigorous evaluation of considerable empirical evidence collected over fifty years of research, suggests that consciousness may indeed survive bodily death and that mind and brain appear to be distinct and separable. It is our hope that other opened-minded scientists will join us in taking on new challenges into the serious study of the nature of consciousness and its interaction with the physical world. At the 2018 Tom Tom Founders Festival, John Cleese moderates a discussion amongst research faculty. We rely upon the generosity of our donors to fund many aspects of our research and yearly operating costs. We very much appreciate your kind donations and support of our research endeavors. Join our team as a subject, an academic researcher, or as a volunteer. 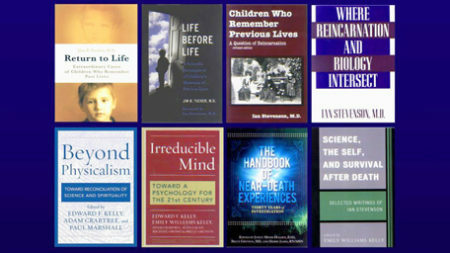 Explore the many books authored by DOPS faculty in subjects such as past life memories, near death experiences and the study of mind and body. In this Medical Center Hour, faculty from the Division of Perceptual Studies highlight the unit's work since its founding. 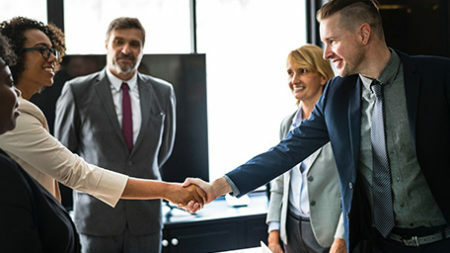 As the division enters its second half-century, what are its research priorities and partnerships? The staff of the Division welcomes information about unusual or anomalous experiences that appear to challenge normal explanations.